Why escape to the Margaret River Gourmet Escape? 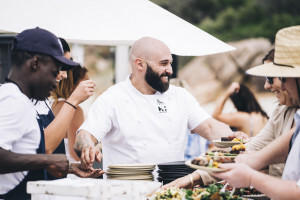 The stunning landscape surrounding The Margaret River Gourmet Escape makes the ideal sanctuary to celebrate why Australia is simply the best… at food, not sport. What Britain should have done is left the convicts in England and all escaped to Australia because, with bountiful oceans, lush green pastures and some of the world’s best vineyards and weather, they became the greatest gourmets in the world. They love food so much that even the nation’s favourite pastime, Aussie Rules Football resembles a flock of angry seagulls fighting over a (hot) chip. Hey! Tell Me More About The Food! 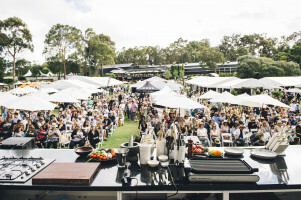 The hub of the three-day event is Gourmet Village -under the cooling trees and vines of the Leeuwin Estate Winery you’ll sip chardonnay while attending bruncheons, luncheons, wine tastings and an al fresco feast in the forest. 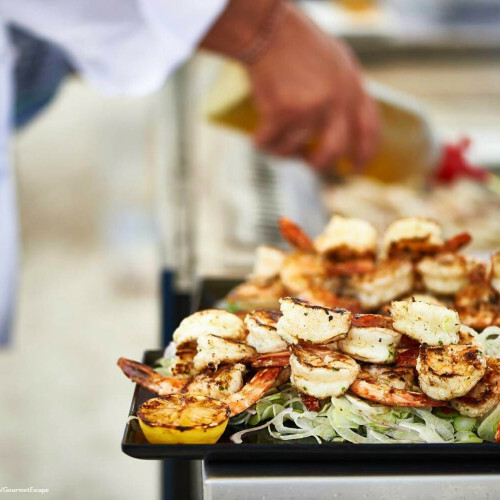 Rock up the coast and you’ll find the Gourmet Beach BBQ. No, not Aussie rules fans Lance and Dwayne with a couple of hot dog sausages and a six pack of tinnies, but Castle Bay Beach transformed into an uber-stylish waterfront eatery with giant tipis and live music for relaxed lunches and evening feasts with a WA beach party vibe. There’s literally too much foodie heaven to mention; brewery tours, morning yoga, farmers markets, DJ’s, concerts, a honey feast, masterclasses aboard yachts, book signings and audiences with world-renowned chefs.